We will find that special area where your efforts will be most helpful. There are opportunities for anyone in search of a rewarding experience. Many of our volunteers are retirees, winter Texans, professionals and youth. As a volunteer, you will meet new people, learn new things, and gain the personal satisfaction of knowing you've helped your neighbors and your community. Volunteers are critical to the health of our community. Now, more than any time in our history, volunteers are also an integral part of our caring team throughout the CHRISTUS Spohn Health System. Fundamental changes in health care are demanding more than financial capital or organizational efficiency to meet our needs. We need caring hearts-volunteers. And all you need is a willingness to give of yourself to others. 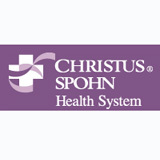 CHRISTUS Spohn Health System is a faith-based organization offering opportunities for leadership, friendship and learning. To learn more about volunteering, please contact us or call us at (361) 881-3160. Alice Texas, the county seat of Jim Wells County is centrally located in South Texas, making it a commercial center for petroleum industry, tourism, healthcare, agribusiness and distribution to surrounding areas. The City of Alice was named after the daughter of one of the founders of the famed King Ranch, Alice King Kleberg. The combination of a growing industry, an outstanding education system, an abundance of wildlife, and economic activity for the region makes Alice a favorite among residents and visitors alike. General Activities: City Parks, Public Swimming Pools (2), Ball Fields (13), Public Library, Golf Courses (2), Fairgrounds and Rodeo Arena, Tennis Courts, Country Club, South Texas Museum, Shell Collecting, Bird Watching, Texas State Aquarium, USS Lexington Museum, King Ranch Tours and Tejano ROOTS Hall of Fame. Hunting: Whitetail Deer, Quail, Dove, Feral Hog, and Javelina.